The first thing you notice about Jenn Gibbons is her big smile and generous attitude. Then you learn she's done something no one ever has before and whoa— dopeness times ten. In 2012 Jenn rowed 1,500 miles around Lake Michigan (with a short portion completed by bike). 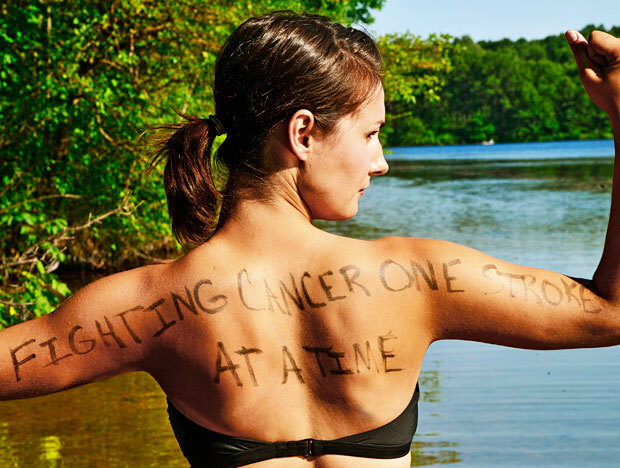 Her mission was to raise funds to support Recovery On Water (ROW), the organization she founded to help breast cancer survivors recover through exercise, rowing and camaraderie. Over the 59 days of her solo row, she battled 25-knot winds, huge waves and the kinds of adversity that would make anyone else tap out. But she didn't. Because nobody stops Jenn Gibbons. "Quitting is not an option for me, because that's not who I am," she told DNA Info in 2014. And she's doing anything but quit with her next challenge—bringing a shiny new boathouse to the South Branch of the Chicago River, creating a permanent home for ROW and making the sport of rowing more accessible to everyone. To raise the money needed to make this dream a reality, Jenn takes on Lake Michigan for the third time this summer with Bike4Row, a fundraising bicycle ride covering 1000 miles in 15 days. You can join Jenn on her ride for one day, one week or the whole trip. Not a cyclist? You can also donate funds or your time. Visit Bike4Row.org for more info. It won't be easy, but if history is any indicator she's SO got this. We heart you, Jenn! Like Recovery On Water on Facebook.